#31 Kasbah Hotel Jurassic, Ziz Gorge We stopped here on our way north from Merzouga as I was insistent that we needed somewhere to break up the hours and hours of driving. I’ll be honest, it felt a little odd as we pulled in. There were no other motorhomes and the young man who moved the barrier seemed a bit bewildered by us being there at all. 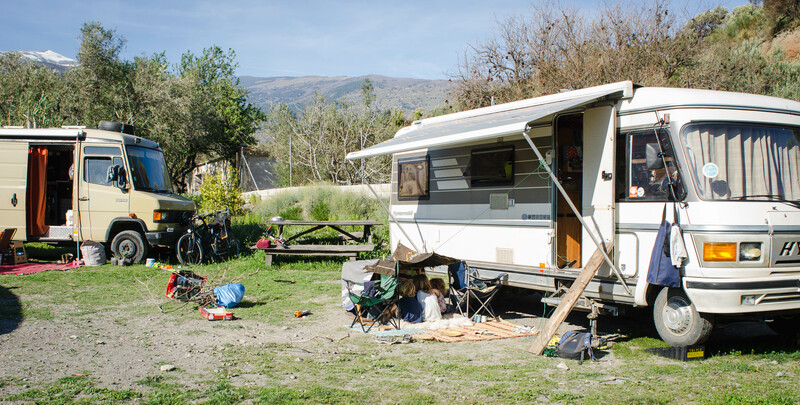 I wouldn’t be surprised if they hardly ever saw a motorhome, so eerily unaccustomed they seemed to having people stay at their campsite. Having said all that, the showers were amazing and the landscape too. It took me a while to realise just how stunning our surroundings were which made me worry we were starting to take it all for granted. We only stayed one night and when I went to pay the next morning they weren’t able to give me any change. It was a small amount so I said it didn’t matter. Then as we were driving out, the bewildered looking young man came out with two little carved stone elephants for the boys as a gift in return for the change. We were charmed. This place is bonkers. It looks like Disneyland with turrets and spires and strange ornate whatnots all over the place. It doesn’t look very Moroccan and I imagine that’s because it’s owned by an Emirati. With all the appearance of luxury and excess you’d think this was going to be some special campsite, right? But no! It was really difficult to figure out where the pitches were and every new van that came rolling up had a major job working out where to park; the ground was hugely uneven, so everyone had the blocks out and were still on the wonk. The guardien sat right outside the loo, the pool was full of gunk, there was a fair bit of oddly ‘joke’ misogynistic wall plaques, no shop and a broken phone. On the plus side they did bring free bread round each morning…Personally I’d have forgone the bread for a flat pitch, but there you go. 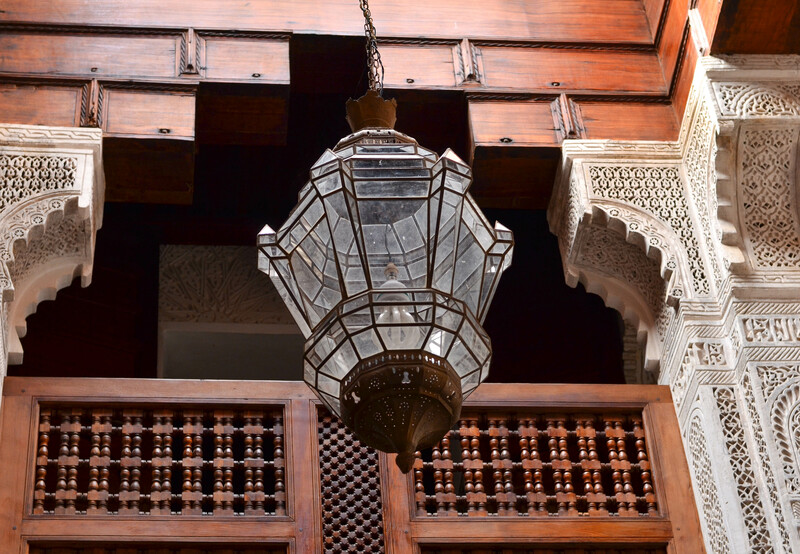 I’ve already sung the praises of Dar Acquas, our lodgings in Fez, but I’ll happily do so again. The Dar is beautiful, a project undertaken by Irish couple Brian and Mary with such careful attention to detail and understanding of the Fassi culture, that it was a great pleasure and education to stay there. A genuine treat. 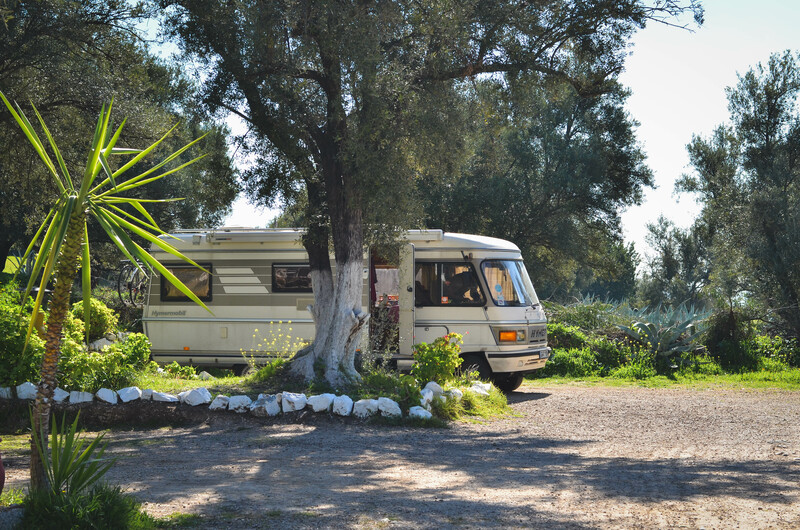 This was where we stopped for the night after our visit to Volubilis. We weren’t exactly sure where it was and it was getting late. We were tired and I’d started to hit the point where I was getting a bit anxious about not having somewhere to pitch up for the night when we eventually pulled in. 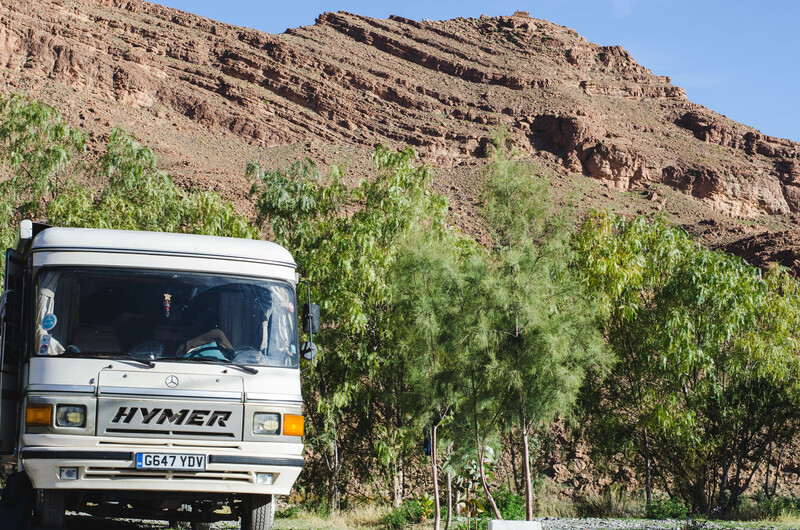 It was a really nice campsite with more green leafy goodness than we’d come across in other parts of Morocco. Slight issue that the price they charged us wasn’t the one quoted in the book, but it was a minor gripe. By the time we reached Chefchouen I was exhausted. We’d been zipping through our last week, clocking up some serious mileage whilst not really stopping anywhere long enough to take a breath. Chefchouen though was well worth the stop. The campsite was nothing to write home about, although perfectly adequate, but it did have a great position up on the hill overlooking the town. Not only were the views spectacular but there was also a path that lead down the hill straight into the heart of the medina. It was a bit of a trek back up but it was worth every wheezy step. That place is gorgeous. Quite apart from the hilariously named M’diq *snigger* if given the choice again I would not stop here. I guess if you don’t mind crazy dogs and don’t need to eat in the massively overpriced restaurant you’d be fine. There is very little to commend this place but it does provide a handy stop on the way to the ports in the north. We stopped here the evening before then scarpered to make the 11am ferry back to Europe. If you’ve read my post about the week we spent near Motril, then you’ll know it wasn’t the most idyllic of weeks! However, the campsite was great. 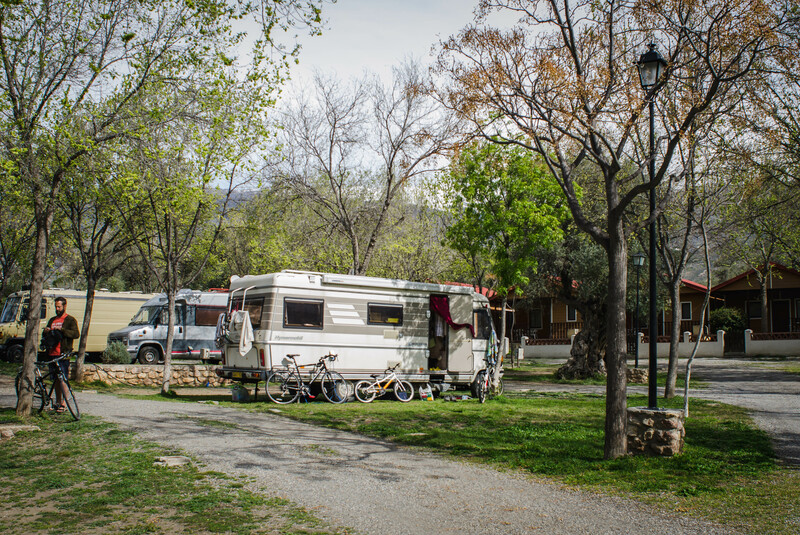 It was one of those long established campsites that lots of people had their caravans permanently pitched at. There was a pool, a restaurant, super sci-fi toilets and showers and fantastically helpful and linguistically accomplished reception staff. We had a pitch directly opposite my parent’s bungalow and due to that and the safety of the site for cycling and general mucking about, we barely saw the boys the whole time we were there. Our stay here was a treat from the grandparents and very swish it was too. There was lots of marble and mirrors in the reception and the rooms themselves were minimalist yet comfortable. The best bit though was the breakfast smorgasborg, which was of such legend-worthy variety and proportion that we still speak about it now in awed and reverential tones. Possibly my favourite campsite so far. Pretty, laid back, good facilities, lovely residents, playground, shady trees…it was just great. We started our week in Orgiva here and then returned for a night at the end of the week for showers and general smartening up before we had to present ourselves before more grandparents. There were so many lovely folk staying there that it started to feel like home. Our fantastic free camp right next to El Morreon. Beautiful surroundings, beautiful neighbours. Our little taste of life living in the heart of anarchist valley. Sorry for the late reply! There were a few odd stops, but I think that’s mostly due to having to find more stops to keep drive times down. Our kids can really only cope with a few hours drive maximum!